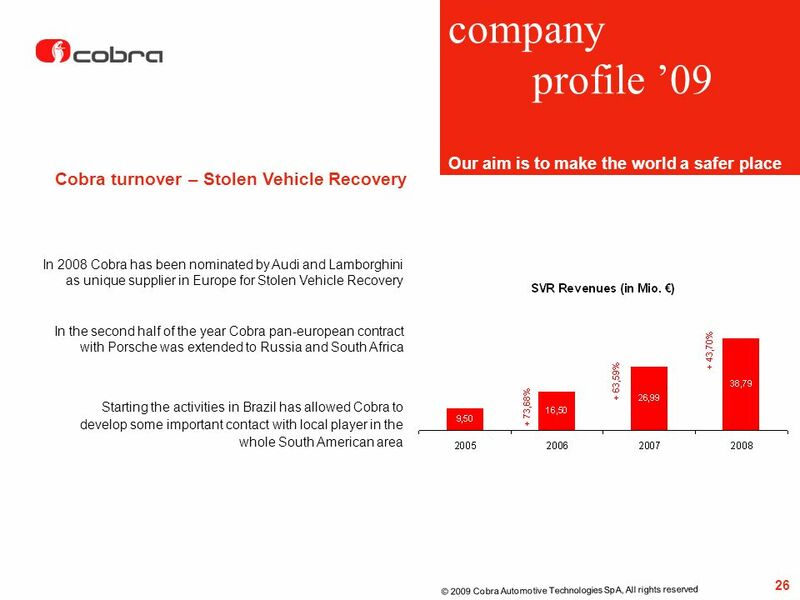 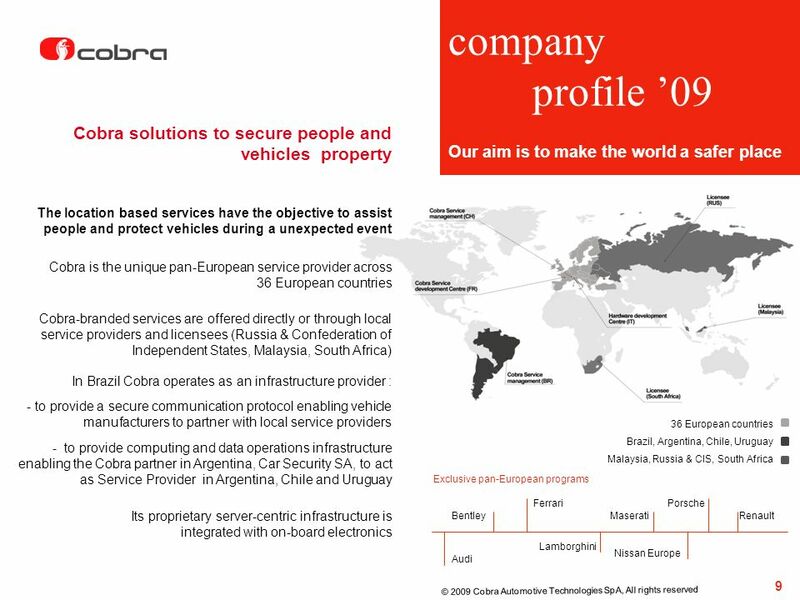 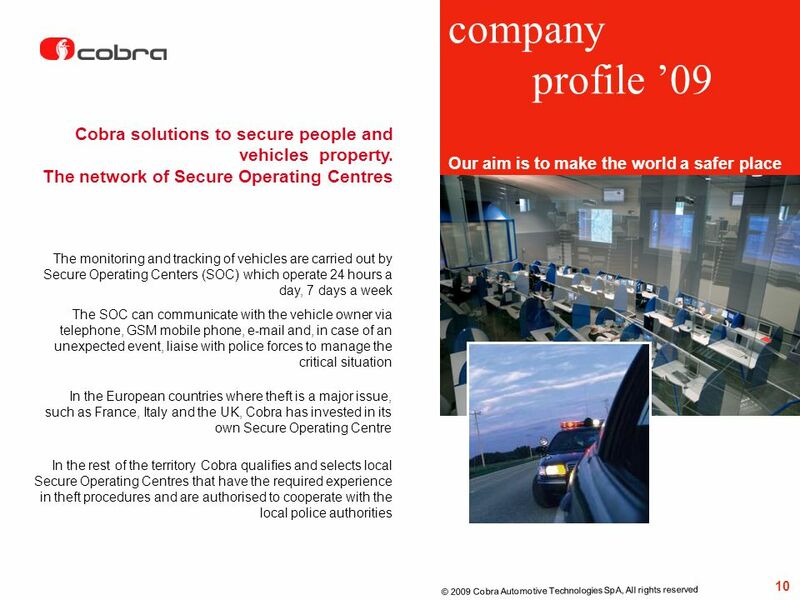 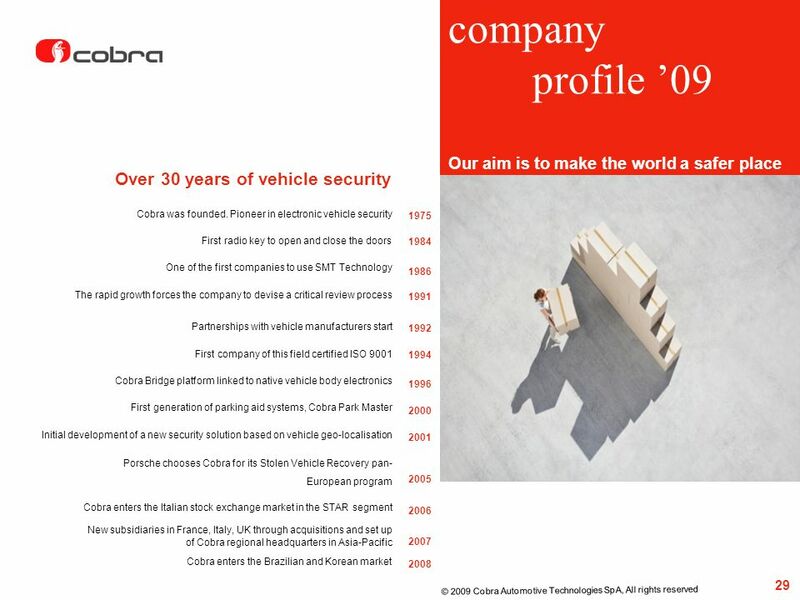 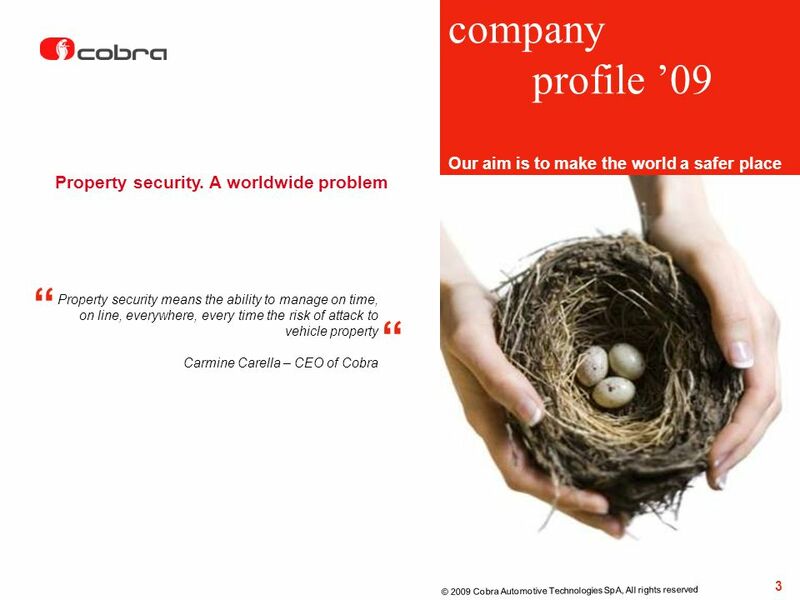 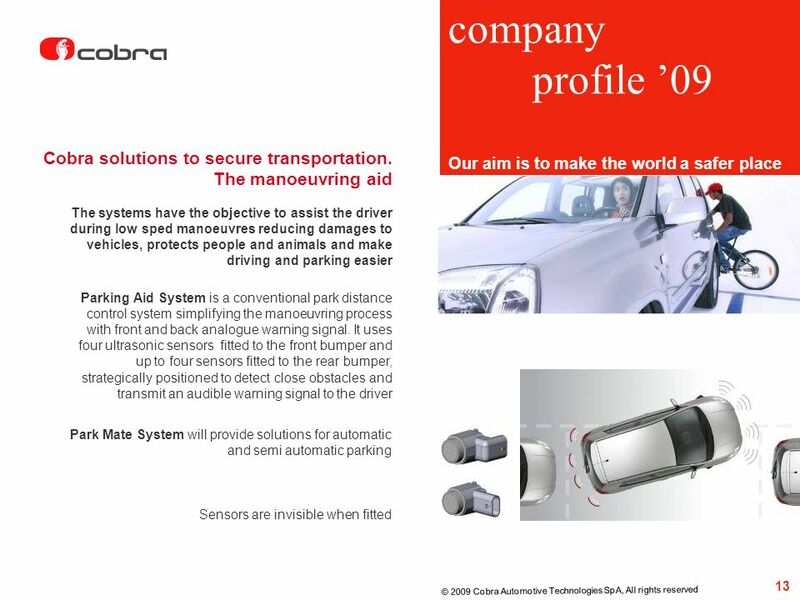 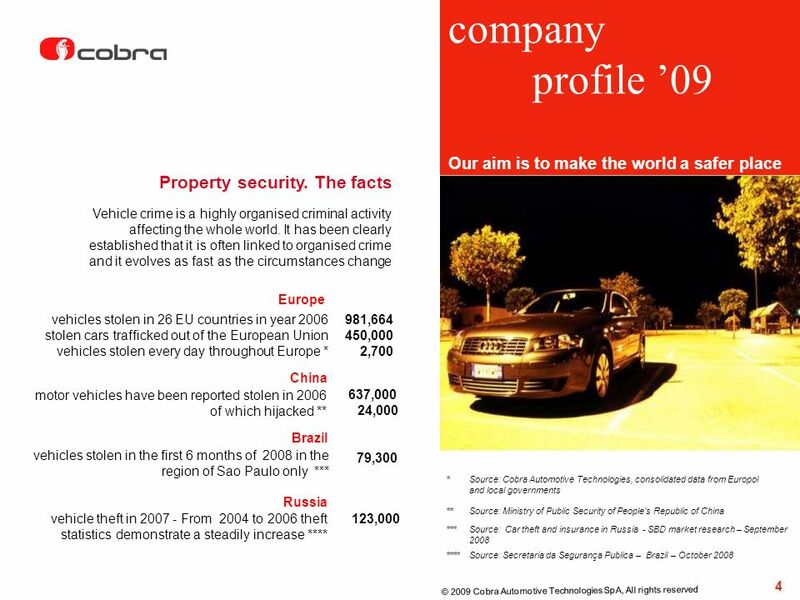 13 company profile ’09 Cobra solutions to secure transportation. 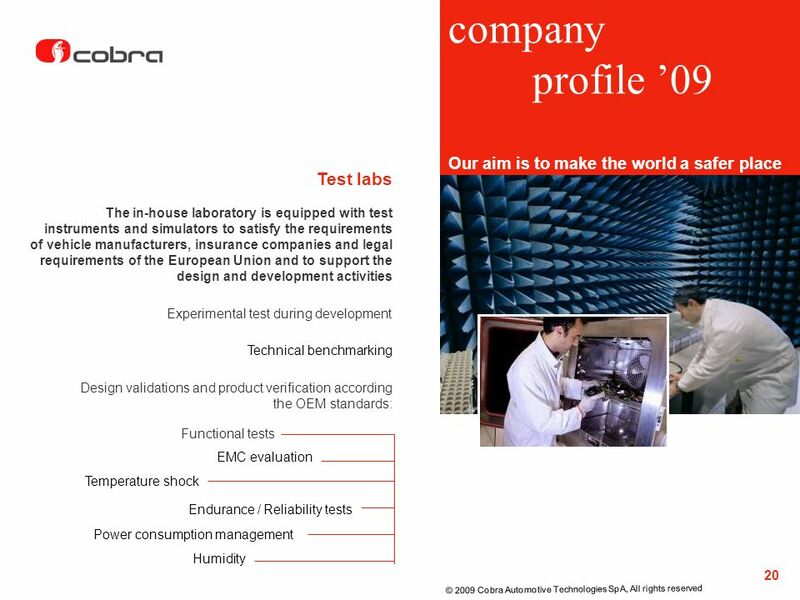 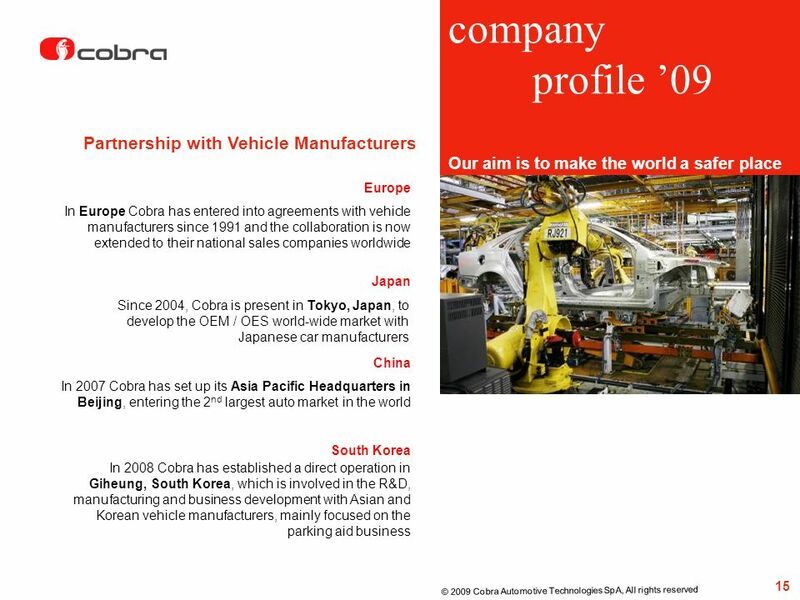 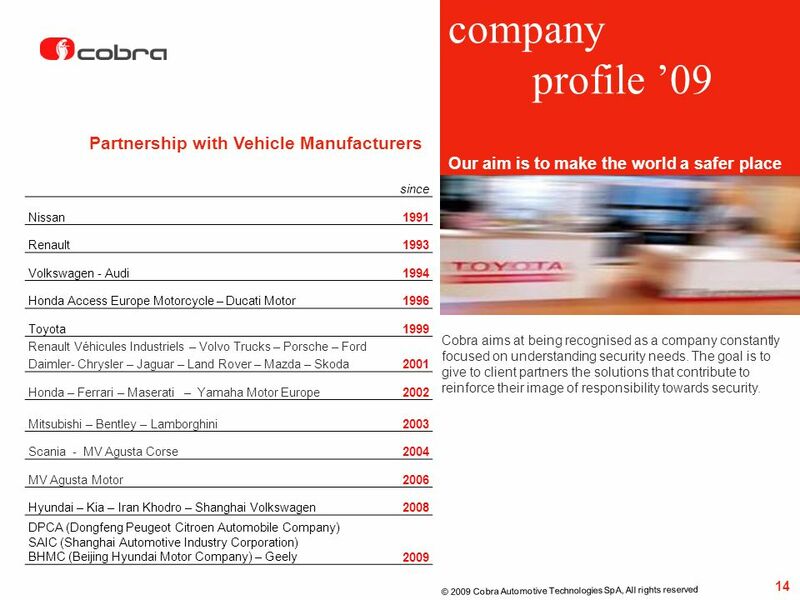 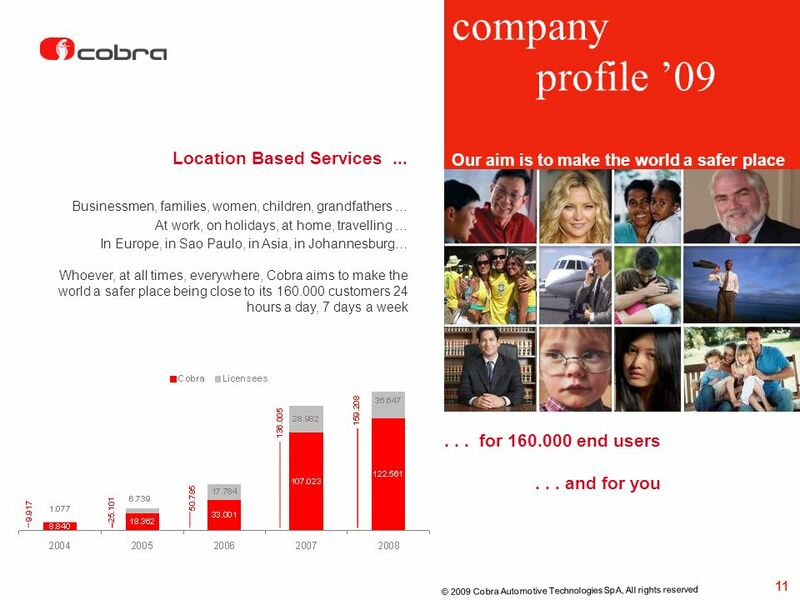 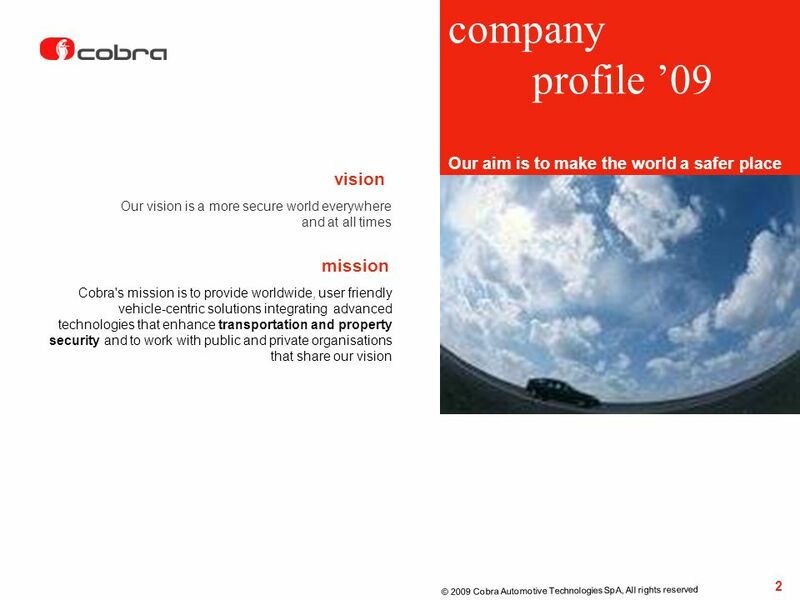 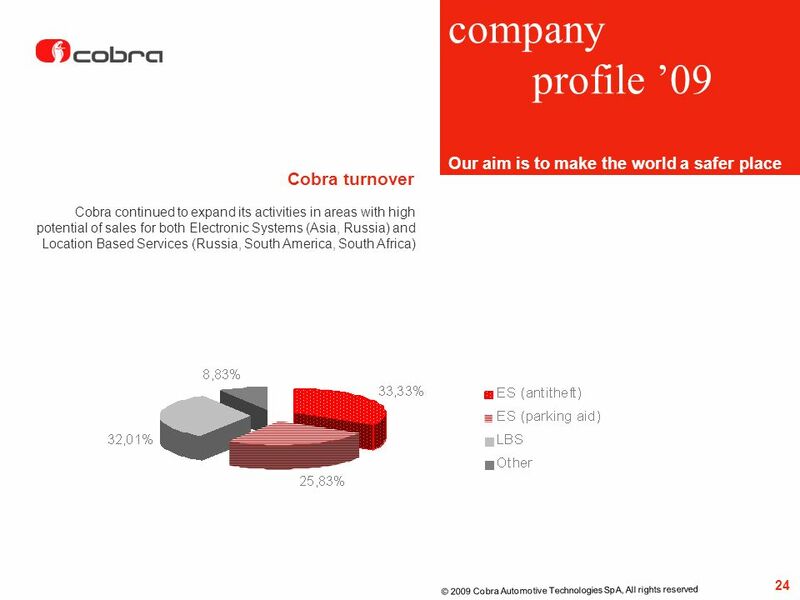 16 company profile ’09 Design and Development in Cobra. 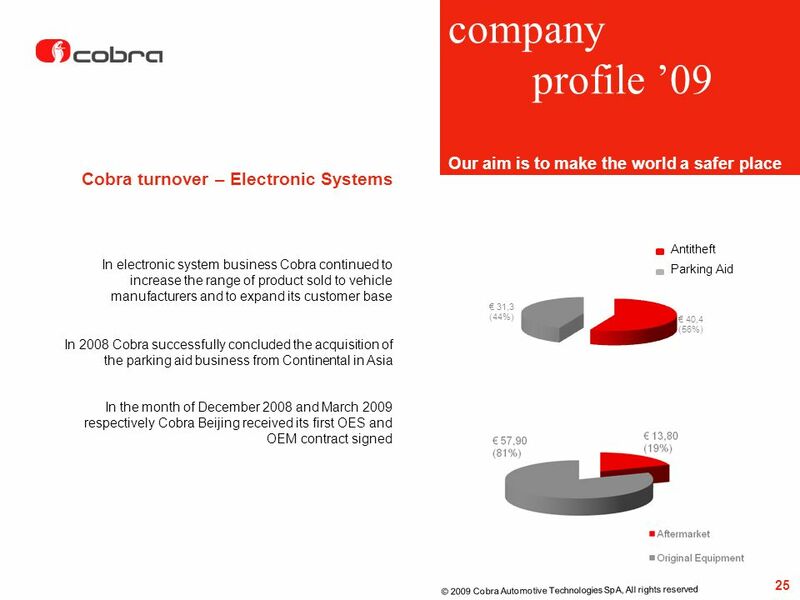 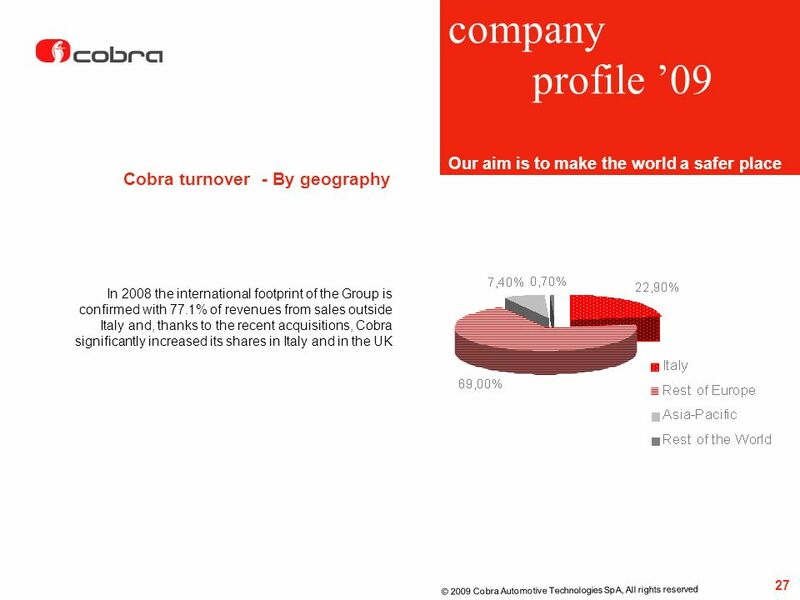 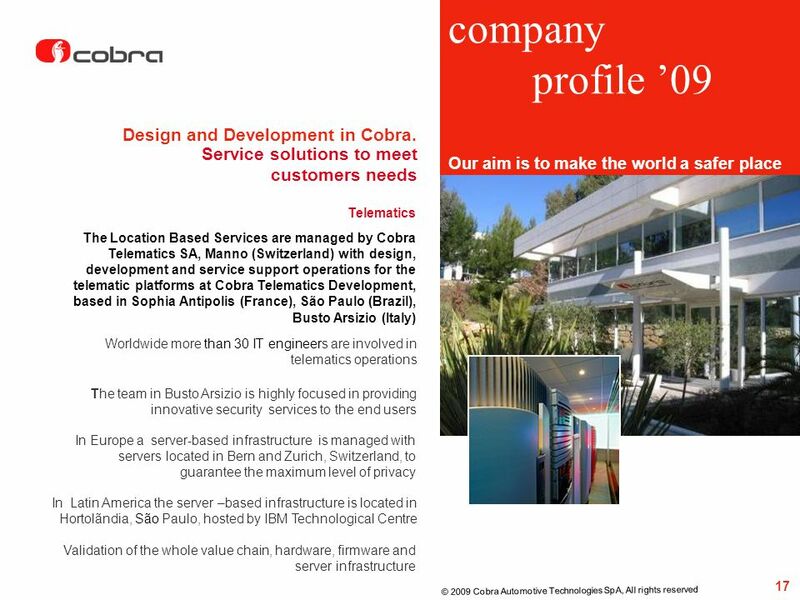 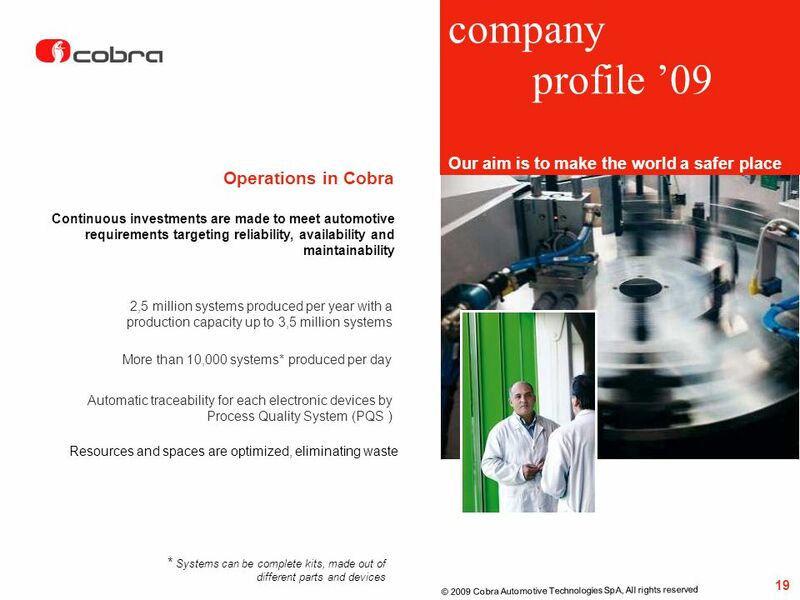 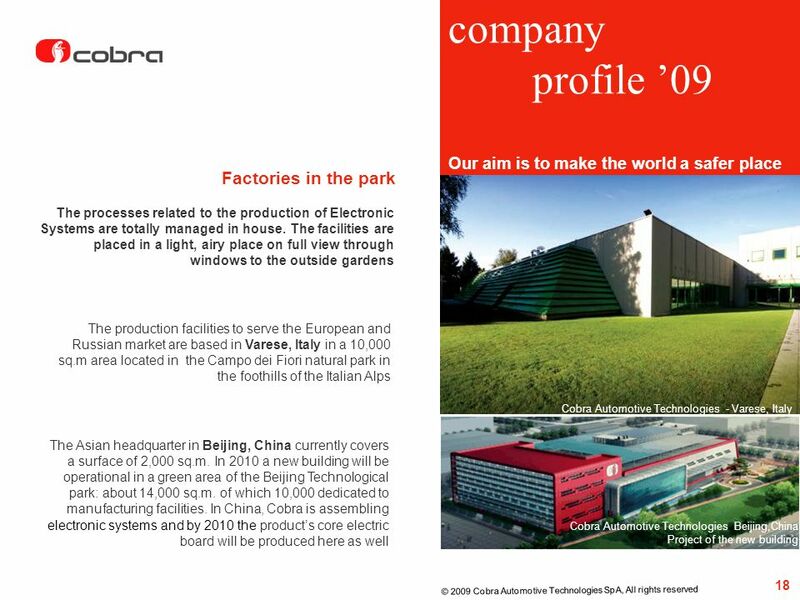 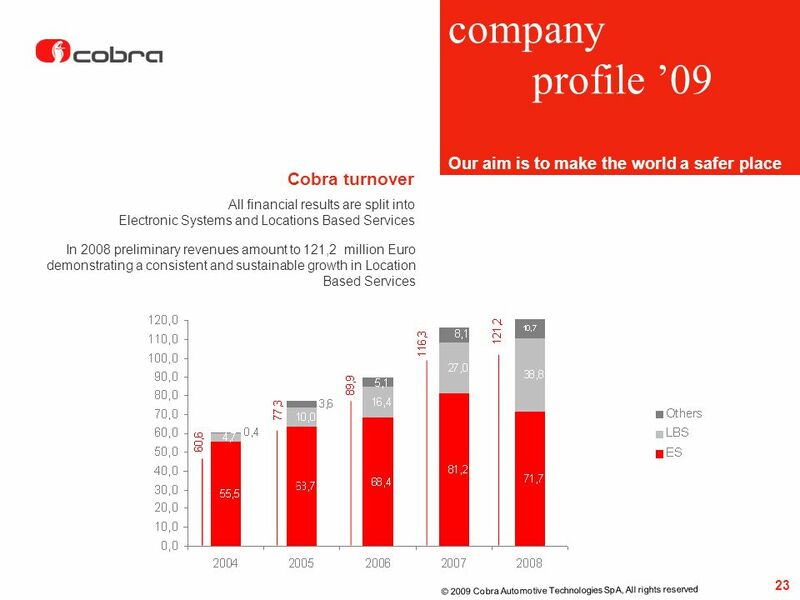 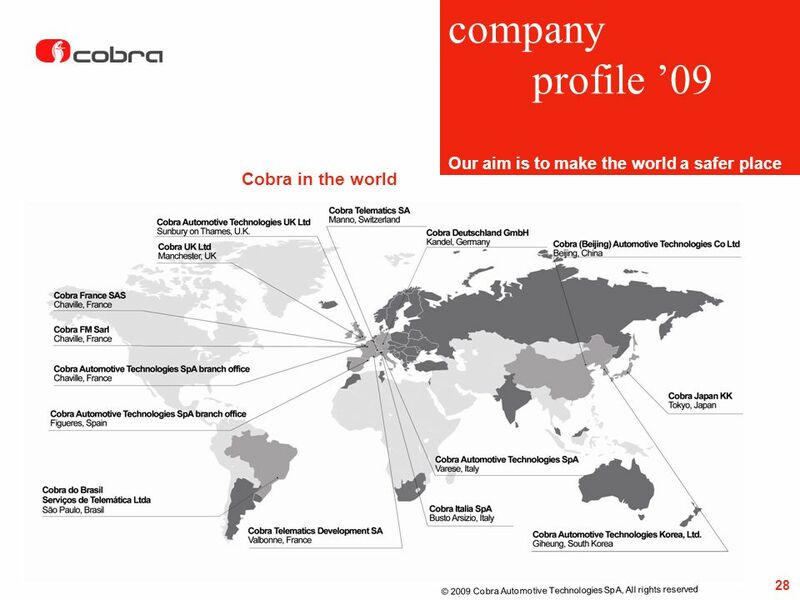 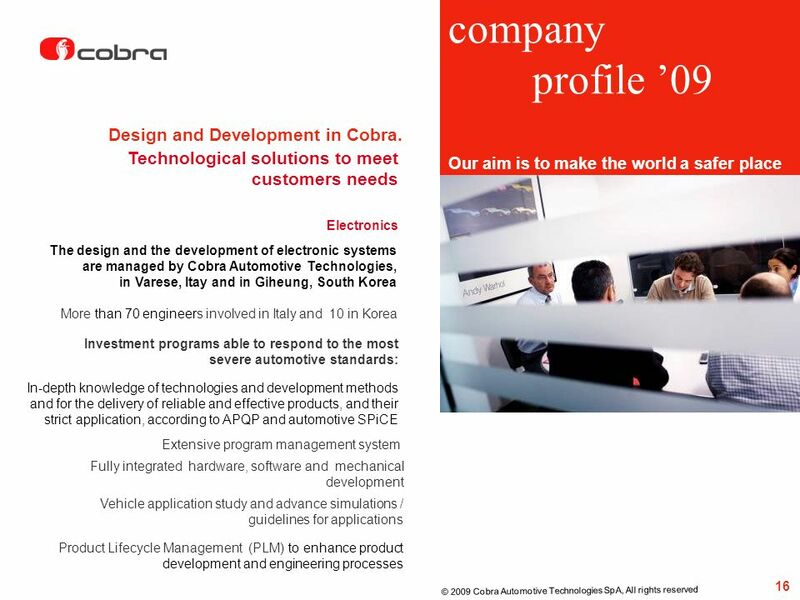 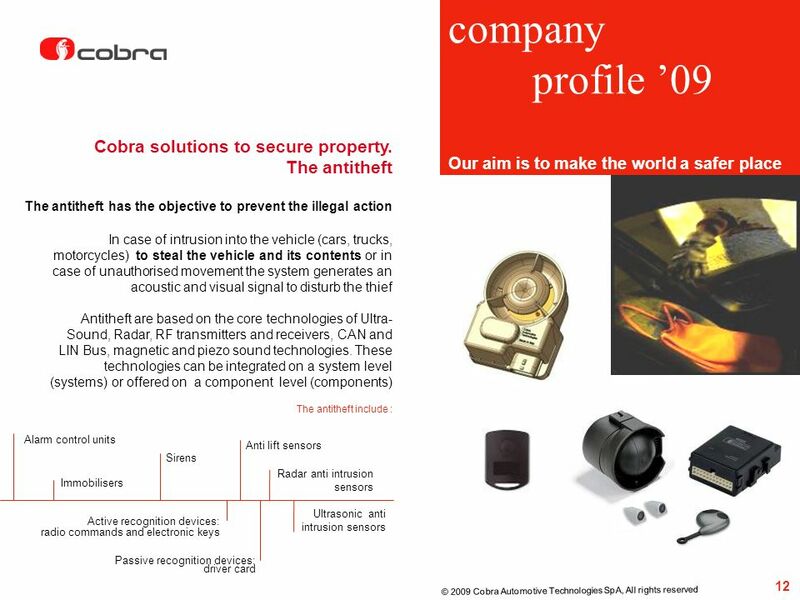 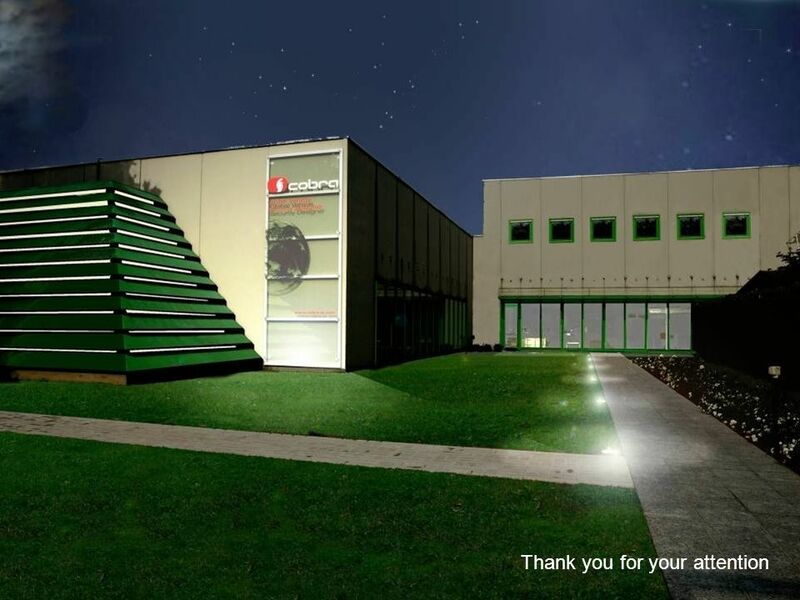 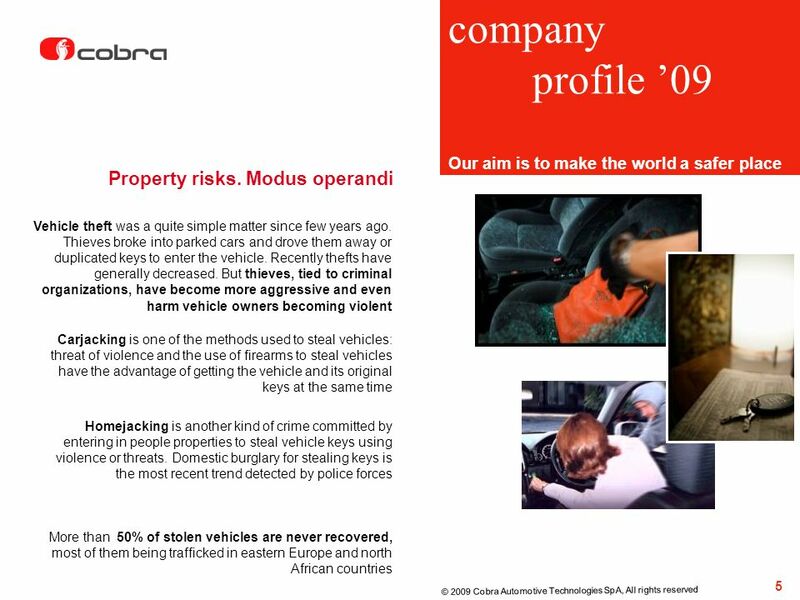 17 company profile ’09 Design and Development in Cobra. 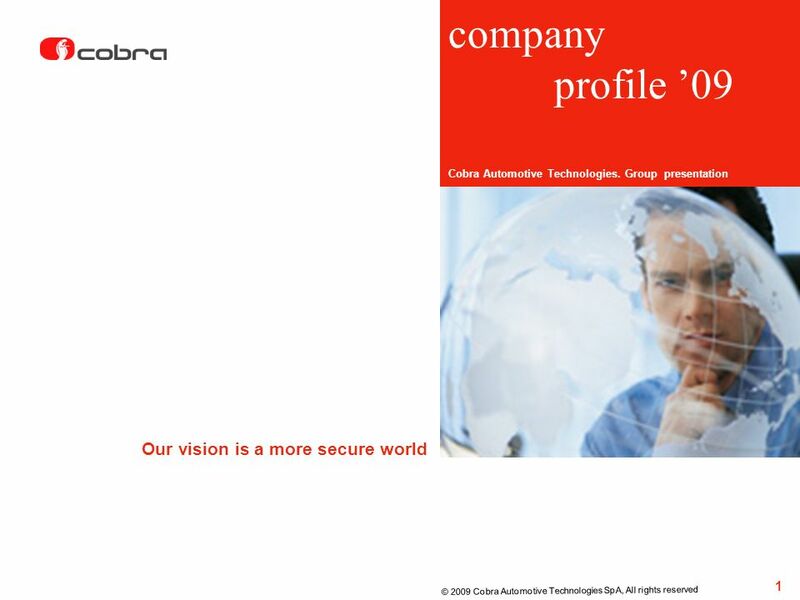 Download ppt "company profile ’09 Our vision is a more secure world 1"
Russian participation in Enterprise Europe Network: Gate2RuBIN project as a tool for EU-RF business and technological cooperation 10 November 2010 Yury. 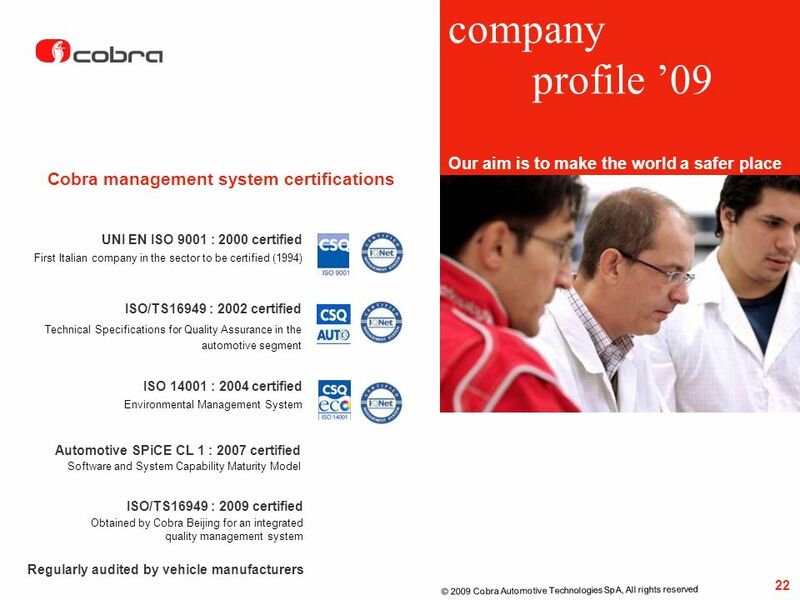 Underpinning the credibility of measurement results : How to combine skills of both OIV and international measurement infrastructure Oenology - Nutrition. 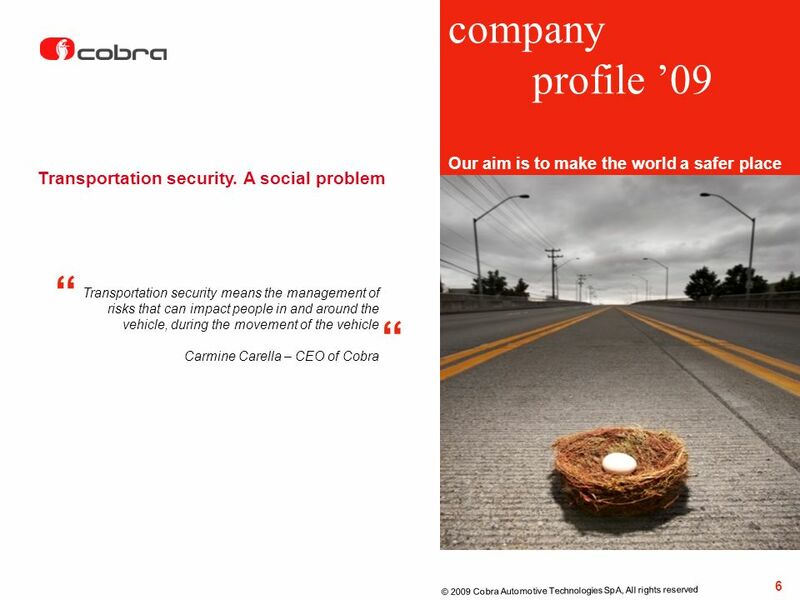 Managing transport on demand for the disabled in Rome: Bus Abile Marco Farina, ATAC S.p.A., Rome, Italy Workshop: Tackling socio-economic disparities using. 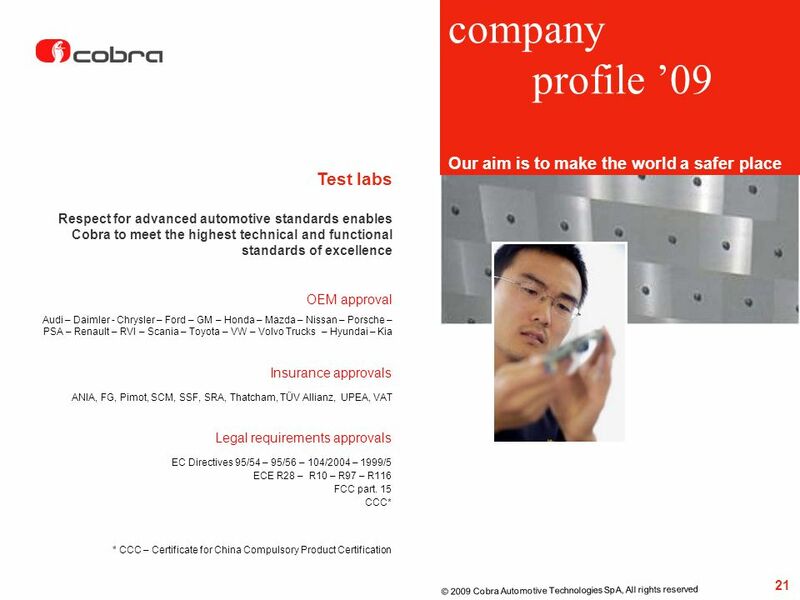 1 Auto Club Group ACG Direct Mail Program September 21, 2009. 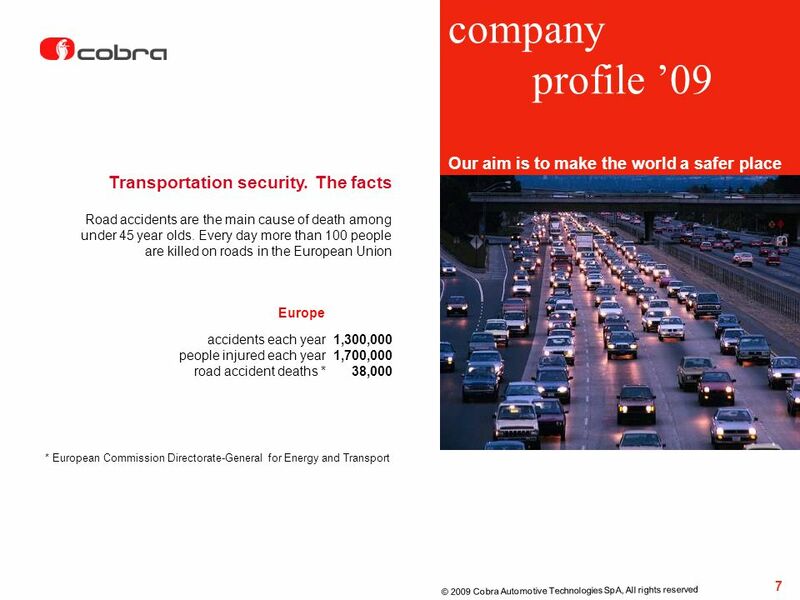 New York, 1st March 2010 Railways and Sustainable Development Henning Schwarz Head of Unit Sustainable Development.